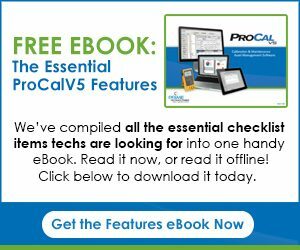 The Uncertainty Budget Calculation Test Type Package for ProCalV5 allows the user to calculate an Expanded Uncertainty value for a given engineering unit and Coverage Factor (k), expressed in the desired number of significant figures. The user can manipulate component values, add components or remove components from the list of values that are used to calculate the Uncertainty. These values can then be displayed on customized reports or viewed in the electronic record.